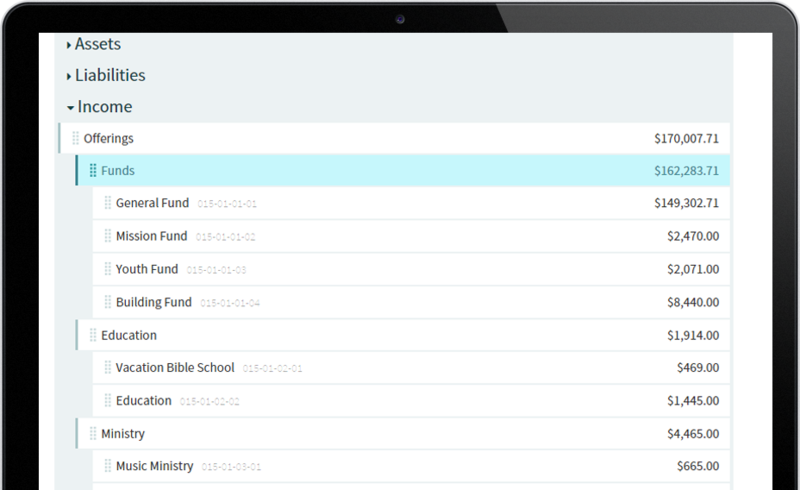 Manage congregational information, finances, and the church website with ease and efficiency. Get the most out of your church management software. Through effortless sync technology, the Church360° suite integrates to help keep information up-to-date and accurate across all programs. From the moment a visitor walks through your doors to the time that person joins the church and becomes involved, the Church360° software suite makes your job of communicating, tracking information, and reaching out easier. It’s smart technology for people-focused ministry. Matt Carter is a new member at Christ Community Church. He’s a graphic designer and a musician; a couple of his hobbies are photography and hiking. Follow Matt’s journey at Christ Community and discover how the Church360° suite simplifies the day-to-day tasks of church management for you—and for members like Matt. 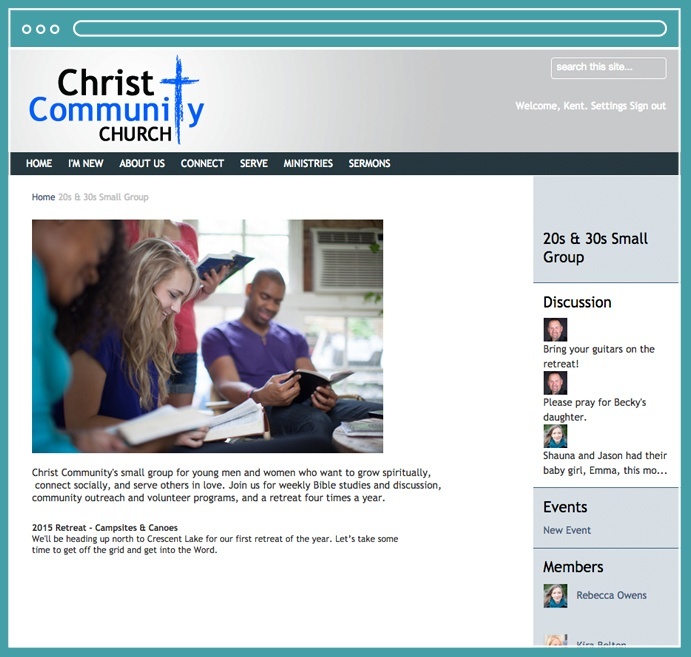 It’s easy to create visitor and new-member profiles with Church360° Members. 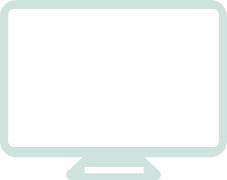 Profiles store important information about individuals in a convenient and accessible place. 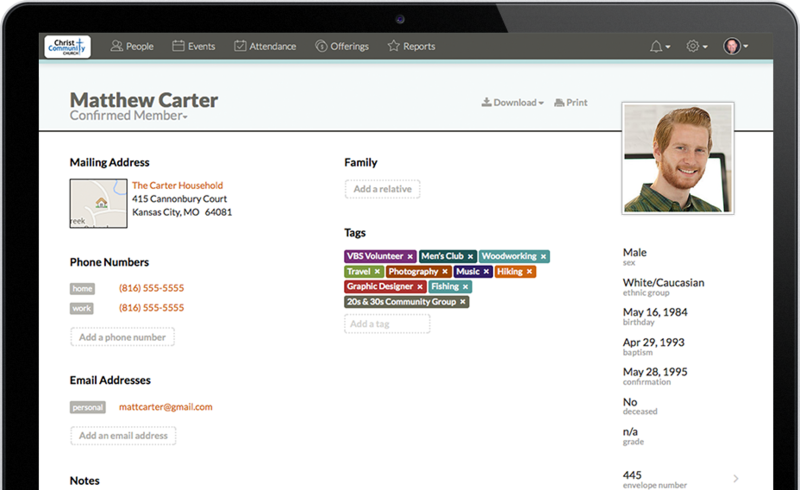 In Matt’s profile, you use tags—one of the most powerful tools in Church360° Members. Tag Matt with his talents and interests, with the groups he joins, and with his communication preferences. When Matt volunteers to help redesign the church website, it’s easy to add him as a user in Church360° Unite and set unique permissions. When you add Matt as an administrator, he can access the entire church website to make design and content updates from the comfort of his own home. Last Sunday, Matt joined Christ Community’s 20s & 30s Small Group on Thursday nights. He also joined the group online so he could stay informed and build community outside of Sunday worship and Bible study. 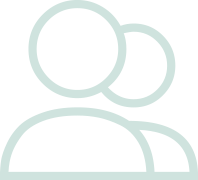 Matt can log in to the church website through Church360° Unite and join discussions, see upcoming events, and get to know other members. Four times a year, the 20s & 30s Small Group plans an event. This quarter, they’re going on a weekend camping and canoeing trip. 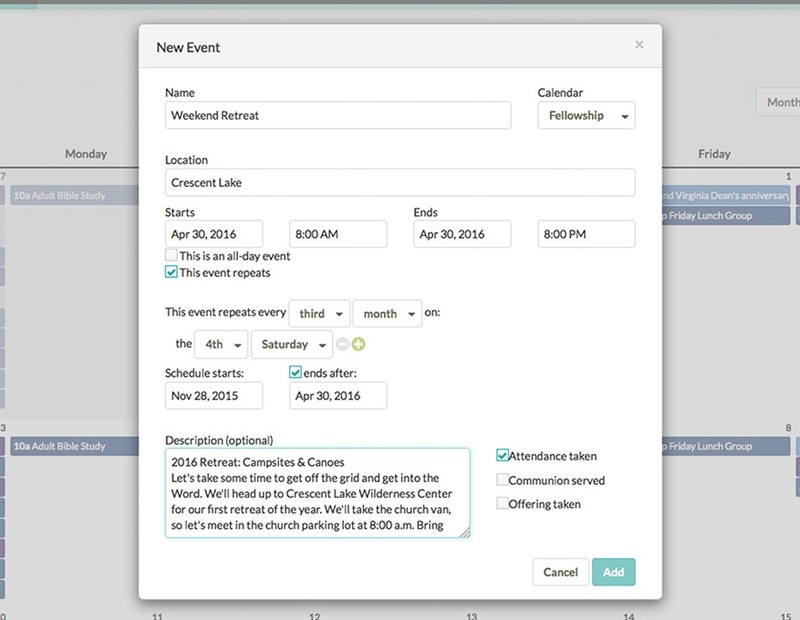 Church360° Members makes it easy to create one-time or recurring events and add individuals as attendees. 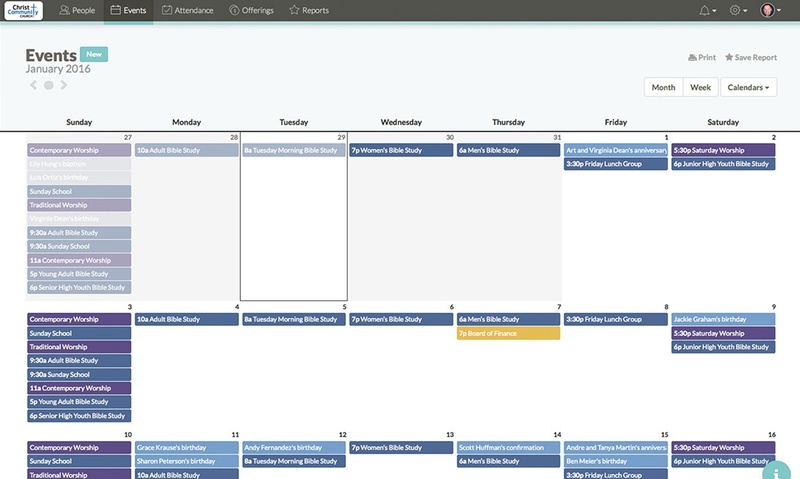 Calendar details entered through Church360° Members automatically flow back to Church360° Unite—and vice versa. This way, the church staff and church members stay up to date on all the happenings within the church—making planning and scheduling easy and convenient. With Church360° Unite, it’s easy for group leaders to create events and send out invites, and it’s even easier to RSVP. Each invitee receives an email invitation asking him or her to RSVP by selecting “I'm going,” “I might go,” or “I'm not going.” Having this list of attendees allows you to automatically inform them of any updates, either through editing the event or posting on that event’s discussion board. Matt and 15 others RSVP for the camping trip. If you have Church360° Members linked to your Church360° Unite account, the benefits of the “evite” feature are even greater. Everyone who signs up to participate is added as an attendee, making attendance in Church360° Members a snap! The next weekend after returning from the camping trip, Matt attends the 11 a.m. worship service and puts his offering into the plate. 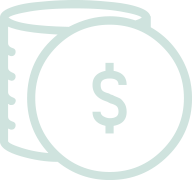 With Church360° Members, it’s easy to track pledges given by individuals, track individual funds, and establish multiple funds for giving. View giving at a glance for a week, a month, or a year. With Church360° Members, it’s simple to set joint contributions, renumber offering envelopes, and more. In Church360° Members, offerings are entered as batches—collections of offerings grouped together by a date, with the option of tying it to an event. 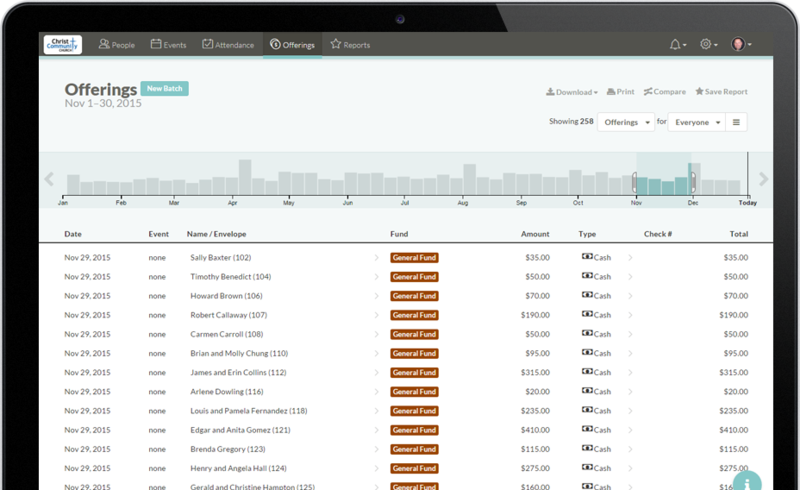 Easy-to-read charts display totals, and filters show contributions during a specific time. As offering information is entered into Church360° Members, Church360° Ledger pulls that information to provide you with a contributions total you can easily deposit. 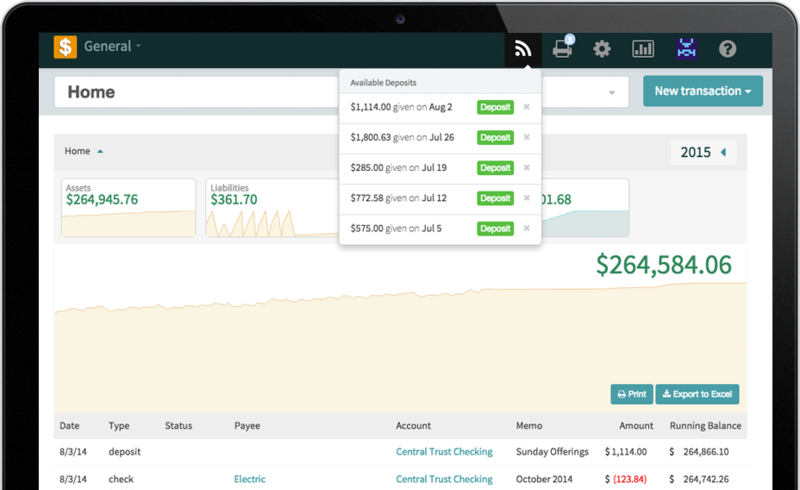 Church360° Ledger also remembers which accounts you’ve chosen for each fund to make deposits quick and efficient. Request your free demo to see how the programs integrate with one another and to discover how Church360° can support your growing ministry. Once you submit your request, a member of our support team will contact you to schedule a time that works best for you. 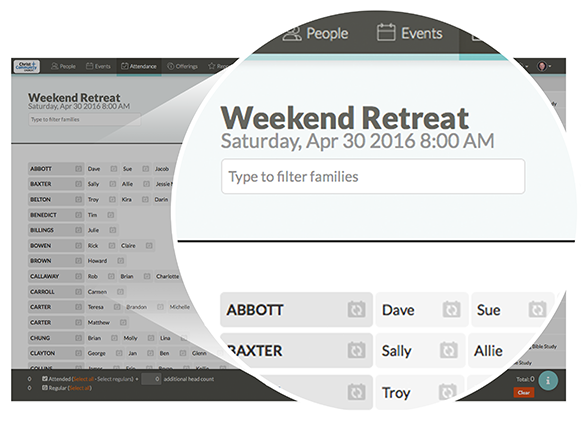 Manage member data and track congregational trends from church, home, or on the road. Manage your church finances with ease so you can focus on ministry and not on the math. Build the church website you’ve always envisioned and create a dynamic online presence.